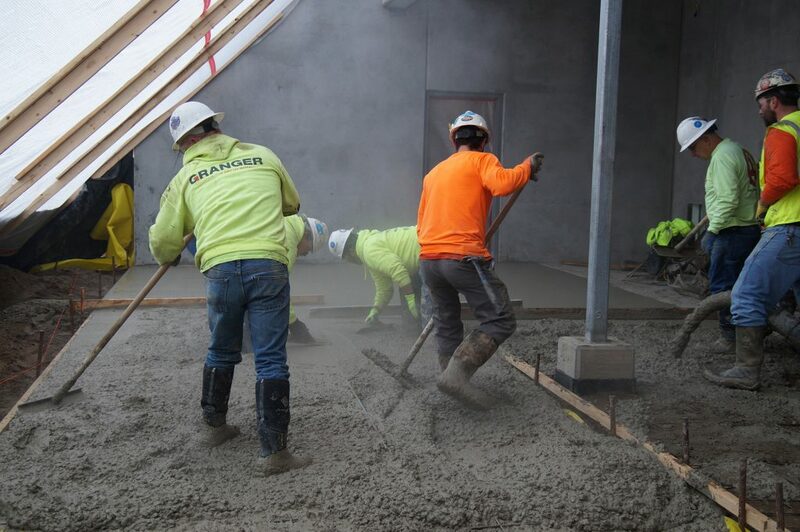 Whether 90 degrees and sunny or below freezing and snowing, concrete pours happen year-round on commercial construction projects. But colder temperatures are not ideal for slab curing. 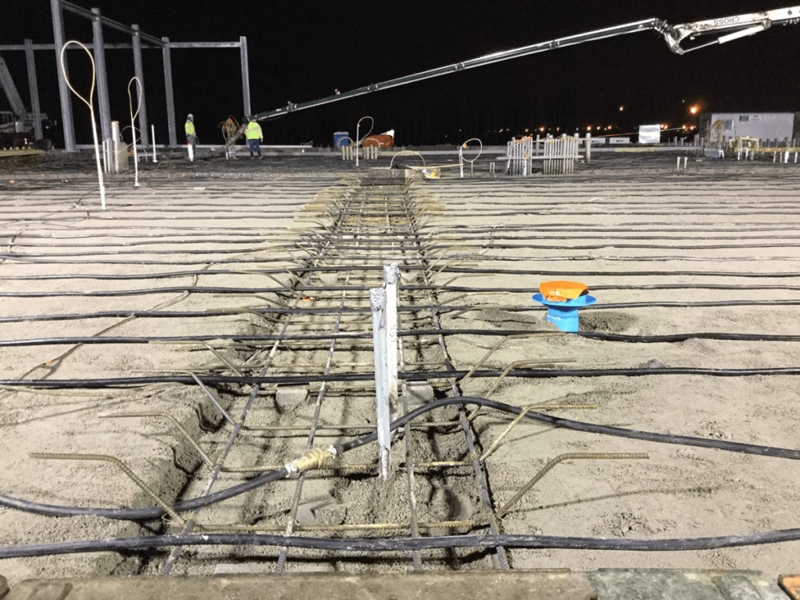 To solve this problem, Granger Construction’s self-perform team is using permanent ground thaw hoses to improve the quality of slab on grade concrete during cold-weather concrete pours. Longer Set Times: The cooler the temperature, the longer it takes for concrete materials to initially set. This means longer days for finishing crews which, in turn, increases job costs. Damage from Freezing: Freshly mixed concrete freezes at 29 degrees Fahrenheit. Therefore, pours at conditions near or below this temperature risk freezing before the concrete properly cures. Freezing is not acceptable as it degrades the slab’s long term durability and performance. Lower Rate on Strength Gain: Lower temperatures also reduce the rate on strength gain, increasing the time before protections can be removed and possibly raising project costs. Cooler temperatures increase the time required for concrete to set. Place hoses over the subgrade (ground) and use portable heaters to pump a warm glycol and water solution through the hoses. Cover the hoses with blankets to trap and distribute heat across the subgrade. Once the subgrade is warm enough, remove the blankets and hoses to begin pouring the concrete. After placing the concrete, cover it with a layer of blankets, followed by the hoses and a top layer of blankets. Once the concrete has reached its desired strength, remove the top layer of blankets. Then remove the hoses and the final blanket layer. With this approach, crews are able to reuse the same hoses on multiple projects. Granger uses permanent ground thaw hoses to improve pour conditions for in cold weather. Reduced Labor: Using permanent hoses eliminates multiple steps in the concrete placement process, reducing labor requirements. Not only do crews no longer need to place, remove, replace, then remove hoses again during the project, they also no longer need to regrade the area due to foot traffic from placing the hoses. Having permanent hoses also reduces the potential for accidentally adding holes in the vapor barrier when moving temporary hoses. Better Quality: With traditional methods, by the time crews finish placing concrete on large projects (ex. 40,000 SF), both the sub grade and the concrete itself have had time to cool, and possibly freeze. However, if permanent hoses are used, crews can maintain ideal temperatures during the entire pour. Similarly, this permanent heat source reduces the likelihood of bucking during extreme temperature shifts and ultimately leads to a better product for the client. More Predictable Curing: Leaving hoses in place allows the concrete to cure from within. This both reduces the curing time and the controlled environment also increase the reliability that the concrete will finish curing on schedule. In turn, this predictability allows contractors to better schedule other trades that need to work in and around the area. Aside from benefiting the concrete placement process itself, crews can use the permanent hoses as a continued heat source during other construction work. The heat from permanently placed hoses can also help melt any snow that might fall on exposed concrete. Granger’s new permanent hose approach has proven successful for a variety of construction projects, from parking lots to data centers, and we are excited to see how it can benefit future clients. 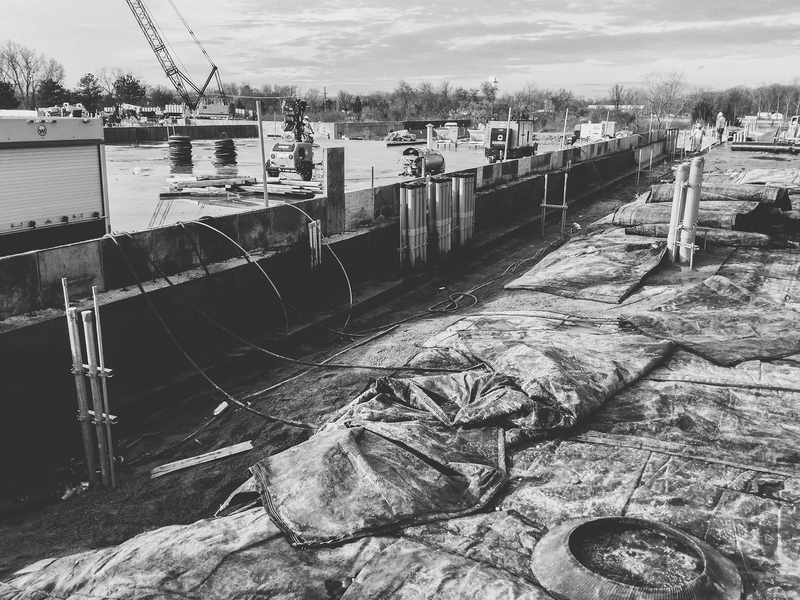 To learn more about Granger’s innovative concrete work or other self-perform capabilities, contact us today. It would be amazing to be able to see the MSU’s Broad Art Museum to see the angled concrete walls. The building looks so modern. I think it’s cool how much can be done with concrete these days. This is a museum that I would love to see in person. The angled walls in the picture make me think that it shouldn’t be possible. It makes me happy that concrete is such a sturdy material. I didn’t know people could make concrete look so cool! This really opened my eyes to the potential of concrete and all the possibilities with it. You could make a whole commercial building just out of concrete if you wanted to! Wow, this building looks absolutely amazing. I can’t even imagine how long it took for their company to build it. It’s always interesting to see what type of things people are able to build. I’ll have to see if dad ever did this type of work when he was in construction. I would agree that most any important construction project begins with the quality concrete work. This is often used in the foundation of the building and all structurally important pieces after that. You wan to be sure and work with the best you can get.